If we had a dollar for every new Instagram feature launched this month, we’d have around $6 or $7 dollars. 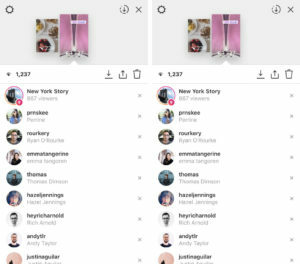 Instagram have launched another new feature in their bid to become the number 1 visual communication platform of choice by users of all ages. This week, Instagram launched Location and Hashtag stories through the Explore function of the platform. The new feature allows users to see what’s happening close to them based on their location, as well as stories that are related to their interests. 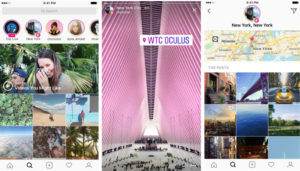 These new stories are comprised of Instagram stories from users who have used location stickers to identify where they are. As well as being able to see what is happening close to you, users are also able to search for any location around the world. 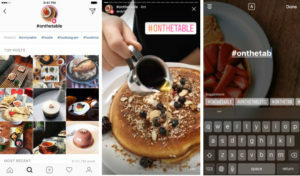 As well as being able to view location based stories, Instagram have also launched new Hashtag Stories. Now when users search for a hashtag, if a story for that hashtag exist, a story ring will appear at the top of the page showcasing stories using that hashtag. These stories work in the same way as the new Location Stories – when users add hashtags to their stories, they have the ability to either add or hide them from being added to the aggregated public story.